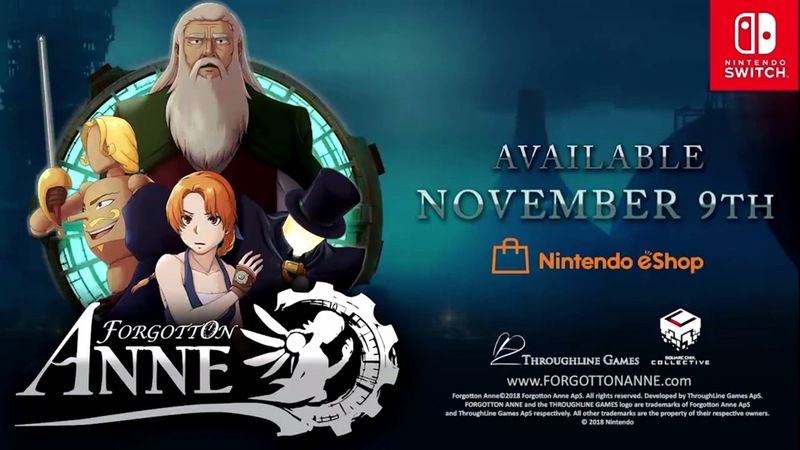 Forgotton Anne is making its way to Switch next week, a listing on the eShop reveals. A release is planned for November 9. Imagine a place where everything that is lost and forgotten goes; old toys, letters, single socks. The Forgotten Lands is a magical world inhabited by Forgotlings; creatures composed of mislaid objects longing to be remembered again. – Discover a beautifully realized world of wonder filled with Forgotlings – charming everyday objects brought to life, bursting with personality. – Uncover the truth behind the harrowing conflict taking place between an impassioned ruler and ruthless rebellion. – Harness the power of Anima, the energy that brings life to the Forgotten Lands. Use it to solve puzzles and command ultimate control over Forgotlings’ lives. – Choose carefully. Your words and actions can alter the tale being told thanks to a branching dialogue system that places the power in your hands. – Run, leap, and soar as you strive to guide Anne home, unlocking areas and abilities along the way. – Enjoy hand-animated visuals created using the same traditional techniques that brought your favorite animated movies to life. – Immerse yourself in a soaring orchestral score performed by the Copenhagen Philharmonic Orchestra. Forgotton Anne is already available to pre-load in Australia, and other regions should follow shortly. The pre-purchase option come with a 10% discount.